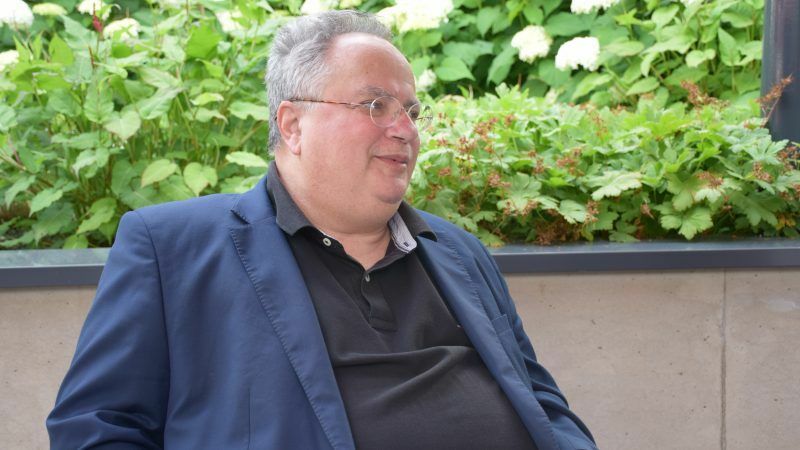 Kotzias spoke with EURACTIV’s Sarantis Michalopoulos on 24 June in Luxembourg ahead of the Foreign Affairs Council. Athens hopes that after an election victory, Erdogan will be less nervous. How can the Greek debt deal affect the country’s foreign policy, given that you have undertaken a number of initiatives to normalise relations in the Balkans? We have taken many initiatives as a whole. I come from Rhodes, where we hosted the initiative of Rhodes with the participation of 25 Arab and European states. Let me note that three years ago, we started with 11. It is an initiative aiming to create a positive agenda between the Arab world of the eastern Mediterranean and southeastern Europe. We will also take part in the last initiative of this year in Bolivia. It’s about great civilisations, including China, India, Peru, Italy, etc. This is an active foreign policy. What we have been trying to do for the past three years is to get Greece out of the swamp and stop being a “burden” in terms of economic policy. I think the foreign policy we have been following, showed the country’s potential, gave confidence to our people and also helped perceive the country’s geostrategic role, which far exceeds the economic problem. What do you expect from the EU Foreign Ministers Council next week? You recently spoke about the existence of a front of northern European countries, which have expressed their concerns about FYROM and Albania. They have expressed their objections in writing. The debate will start on Monday morning, when we will discuss Albania and we will continue on Tuesday, having enlargement on the top of the agenda. I think there are important member states that are in disagreement whether Europe should continue to expand or deepen. In our opinion, as long as the European Commission started and set a horizon this summer to launch formal negotiations with North Macedonia and Albania, we will have to deliver the promise we made. I would like to make an appeal to all sides to understand that there are indeed problems with these countries; we have put them first, but by joining a monitoring and screening process, they can solve them more efficiently. I’ve told my counterparts they can be as strict as they want. But we must not block that prospect. I am afraid that if a date for accession is not given to North Macedonia, all this effort we made with great sacrifices and compromises from both sides, could be jeopardised. Furthermore, if one of the two countries starts the negotiations, and let’s say, Albania is left out, this will create a state of instability in the region. If some countries had issues with North Macedonia and Albania, they should have notified them before. Now, we have the Commission’s report and the proposal to look at the opening of the negotiations. Now we reached the point and we have to do it. Europe must keep its word. Germany has to be more open to Macron’s proposals or to at least respond about the future of Europe. I assume more clarification is needed from the side of Germany. And the French side will have to agree to start these negotiations; also taking into account a more positive mood that Berlin will most probably show. We do not have to lose or win or split into two camps, losers and winners. What we need to do is to promote the European vision. Which countries have so far objected to FYROM and Albania? In the beginning, it was Denmark, Belgium, the Netherlands and France. There were some contradictions in German politics as well. In Germany, there is a conflict within the ruling coalition and this makes Angela Merkel quite cautious about measures that will integrate third parties or how the migration issue will be tackled. I understand it. The French are not happy with the way the debate about the future of Europe is going. And the Dutch have expressed disagreements, but I think it will be easier for them to overcome them. So the point is to bring France together with Germany in order to avoid destabilising the Balkans. Do these objections also concern FYROM’s NATO membership? A part of their argument is not about NATO, while another part is concerning NATO. However, in NATO, the balance between those who support the membership and those who have doubts is different. Macedonia’s deputy prime minister expects growing “external resistance” as negotiations on the name dispute with Greece get closer to a final deal which would unblock the country’s NATO and EU membership bid. Do you feel that after years of stagnation, the Balkan countries are solving their problems, but some European countries do not want to see it? Greece is a friend of all the Balkan countries. We have a great traditional friendship with Serbia but I really wonder: for how long will Albania stand to see Serbia speeding up the negotiations and completing them, while Tirana has not begun them at all? These are destabilising factors because governments will not manage to survive them. And changes in the Balkan region, except Greece, have never been easy or pleasant. 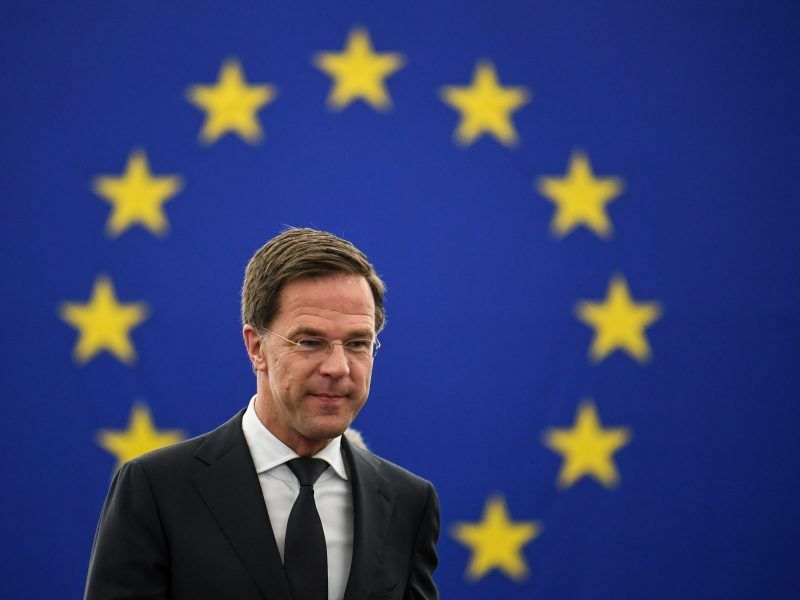 The vast majority of European governments welcomed the agreement with FYROM except for a few, such as the Hungarian prime minister. What did they tell you, how did they perceive it? It has been Europe’s best news for the last five years. It’s a solution to a problem that came at a time when we had a crisis in the eurozone, a crisis of identity, deepening or enlargement, the Brexit, the migration issue. It’s crucial to emphasise that the solution of the name dispute helps recognise the potential of diplomacy to solve problems and that Europe does not look back. However, the EPP has not issued any statement. Some individual members congratulated both sides but no official statement. European People’s Party MEP Elmar Brok has a “great understanding” of Greece’s New Democracy leader Kyriakos Mitsotakis, who faces internal party problems and opposes the freshly agreed deal between Athens and Skopje on the name dispute. However, Brok told EURACTIV he hopes for a positive result in the end. I think the EPP has a problem: the political forces in favour of inertia, the forces that did not resolve these problems, are their members and the EPP cannot help and direct them toward a European policy, toward a policy of solutions. And when I say European policy, I mean the policy of consensus and compromise. This is the specificity of today’s Europe, not conflict and violence. The opposition parties in Skopje and Athens have been disturbed by the compromises that have taken place. It seems that over the years they have been fuelling the lack of a solution to the problems of the region and now they face a difficulty in adjusting. Unfortunately, it seems the EPP takes more into account what these two parties need and not the needs of a European future. It is sad on one hand because it seems that the EPP is sincerely satisfied with the solution, but on the other hand, it does not want the results of this solution to be credited to those who had the courage to solve them. In a few words, they want us to be solving the problems and their parties to be winning the elections. Sixteen EU heads of state and government held an emergency summit in Brussels on Sunday (24 June) to discuss migration – a crisis with a destructive potential for the EU. 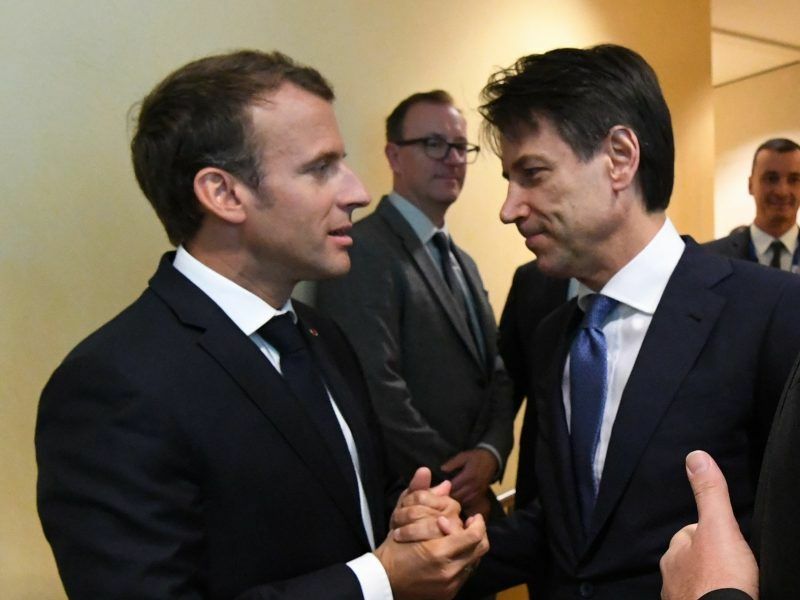 No results were announced, but sources said the discussions had largely revolved around a proposal by Italian Prime Minister Giuseppe Conte. Do you believe that Greece’s New Democracy party will ultimately vote in favour of the deal? 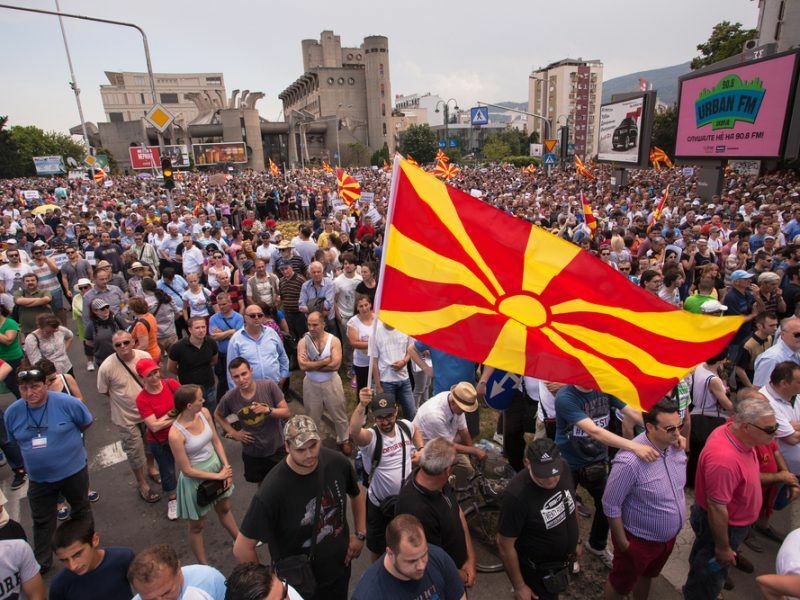 And in Skopje, will the Zaev government withstand the pressure? During a discussion in the Greek parliament, I told the opposition that it operates as a VMRO branch in Athens [VMRO-DPMNE is the party of former FYROM Prime Minister Nikola Gruevski, EPP-affiliated, under whom the country’s prospects for a European future were deadlocked]. Accordingly, the VMRO operates as a branch of New Democracy in Skopje. 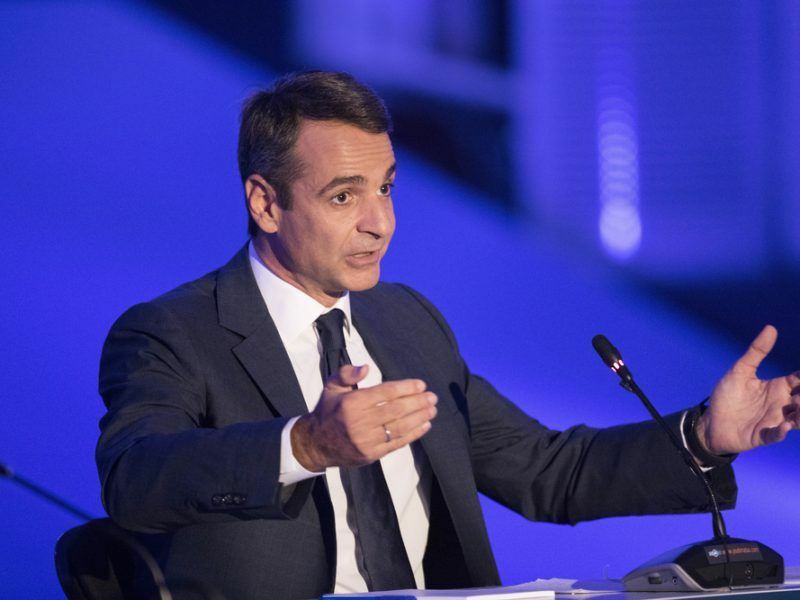 Skopje accuses Zaev of having given everything to Greece. Similarly, in Athens, they accuse us of giving everything to Zaev. The truth is that there is a new dividing line today. The governments of Northern Macedonia and Greece support solutions, the cooperation of the states and the European orientation for the benefit of their people. On the other hand, there are forces that played political games and benefited from a non-solution, undermining the future of democracy and their peoples’. The dividing line is no longer “those in Skopje and we in Athens” but among those who want the solution of the problems and the European orientation and those who push for a non-solution. I believe Zaev will not bow to the pressure. He is a much more resilient politician than he seems at first sight. Are you close to a solution with Albania regarding the Exclusive Economic Zone (EEZ)? Look, regarding Albania, I found 100-year-old problems. For example, we are still in a state of war. We are both NATO members, we have signed a Pact of Friendship, but there is typically a state of war. We put all these problems in a package. We have already solved some minor issues, especially those that facilitate workers or immigrants from Albania. Now we have the big issues. In Athens, the joint committee of experts and technocrats for the EEZ met and we took a big step. I think we will solve the pending issues, on condition that the opposition parties in the two states do not start reacting hysterically. 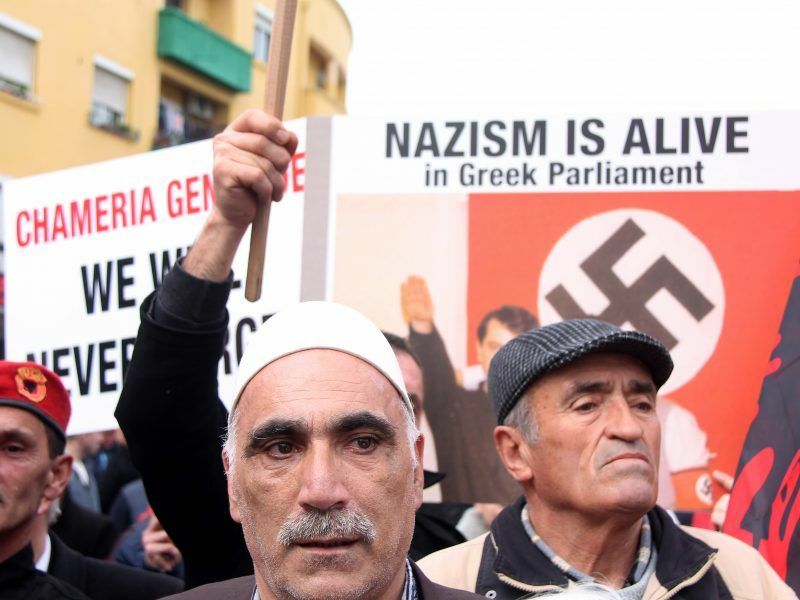 I am very sad with what the Greek opposition says. They say we’re talking about “Tsamouria” (“Chameria”). We are not discussing this at all. There has never been a question of “Tsamouria” in this debate [the coastal region in southern Albania and northwestern Greece traditionally associated with an Albanian speaking population called Chams]. I will also tell you, and I am saying that for the first time, that another government, in the early 1990s debated “Tsamouria”. I also have witnesses who were present in those discussions. They present themselves as if they just came into politics and there is no past. And, in general, opposition parties tend to create faits accomplis when they are in power, and then they blame us. They also say that we are abandoning Northern Epirus. If they have not understood it yet, with international treaties and the Helsinki Final Act, Northern Epirus is a part of Albania and we have no intention of changing the borders. These are psychoses that damage the country and have nothing to do with the European policy of dialogue and compromise. The Balkans, along with Greece which is more experienced, should move forward together in a common European future. Because no country in the region will count much in a future Union of 40-45 Member States. Montenegro with 600-800,000 population or North Macedonia with 1.6 million and Albania with 2.5 million in an EU of 600 million will not have any role to play. Nor Greece with 11 million. However, we will have a role if we stick together with a plan for our region, by creating development networks, social partnerships. For Greece, the biggest issue and the great neighbour, with whom we have a friendly attitude but there are tensions, is not any those states. You solved the Macedonian name dispute. If I understand correctly there is also optimism about the issues with Albania, but in practice, what are the main gains for Greece? 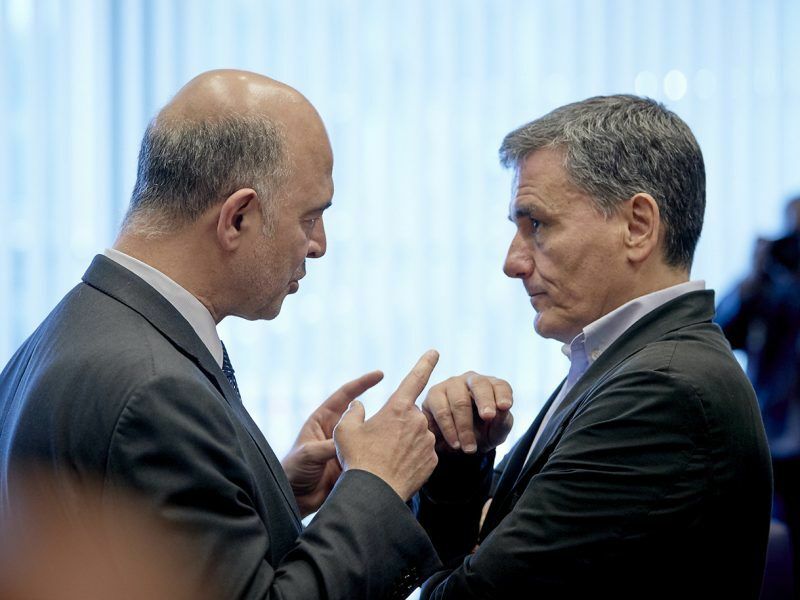 Greece will not be encircled when it solves its problems. Also, now that we are getting out of the economic crisis, it would be good to do it in cooperation with the whole region in order to multiply the potential of growth. In the wider region, there are many tensions, from Libya to Iraq, and this area is not easy to attract to steady growth. I am deeply convinced that together with the other Balkan countries, we are the best group of states that can develop together and look to the future with optimism. Dealing with these problems made us “prisoners of history”. The Greek Foreign Ministry is generally a conservative ministry and the overwhelming majority of our employees support the deal because they are experienced. They saw how our diplomatic resources were wasted, how our country instead of dealing with the future it dealt with these problems and how “great forces” of the region wanted us to deal with these problems. Will a strong Erdoğan post-election de-escalate the situation with Greece? They asked me before the elections and I replied that in Greece, unfortunately, we do not have the slightest hope that if the opposition wins, the Kemalists I mean [CHP], something will change. If Erdoğan clearly wins the election, then he must show greater flexibility and willingness to resolve the problems. I hope after an election victory, he will be less nervous. 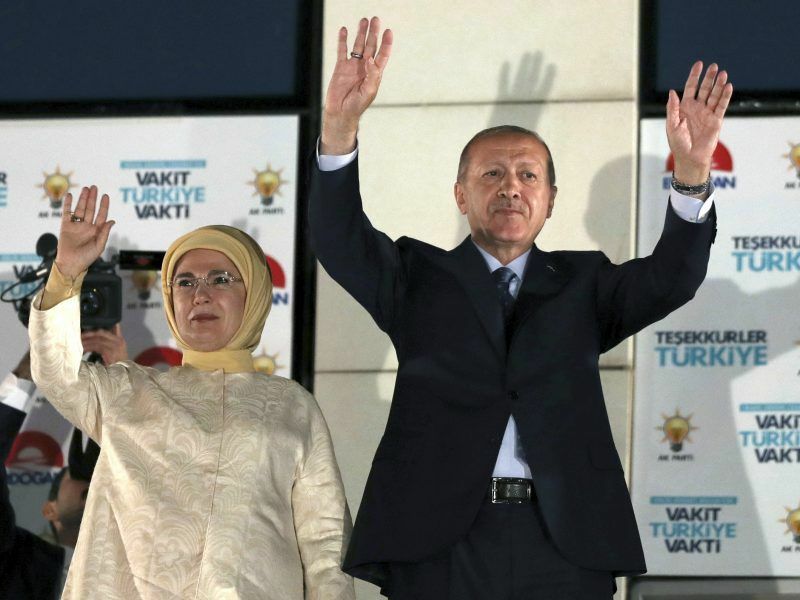 Recep Tayyip Erdoğan won Turkey’s presidential election on Sunday (24 June), the head of the country’s electoral body said, overcoming the biggest electoral challenge to his rule in a decade and a half. When do you expect to re-open the Cyprus issue? The UN Secretary-General has appointed a new representative and we immediately gave our consent because we have confidence in the SG and the UN. The Turks have not done it yet but I think they will do so after the elections. The guarantor powers will have to talk before we go to an international conference and explore whether we can find a common solution to the issues of guarantees and security. If there is no solution to this, there is no reason to re-launch the negotiations. Contrary to what was done in Geneva and Crans-Montana, we will start with this subject first. I feel that Turkey has a reasonable view on the subject; I mean the method of solution.